Stock markets worldwide, including Dow Jones, Nasdaq and the S&P 500, have posted disappointing yearly returns, with many indexes being compared to their performance during the financial crisis. The S&P 500 is down 6.2% for 2018, while the DOW Jones Industrial Average is down 5.6% for 2018. These numbers, compared to the financial crisis, where the indexes posted yearly losses of 38.5% and 33.8% are a new low given the general bull sentiment surrounding markets going into 2018. While the S&P 500 was up 9% during the first three quarters of 2018, it has marked a new milestone of ending the year in the negative digits at -6.2%. This is the first time the S&P closed negative digits on the yearly after rising for the first three quarters. 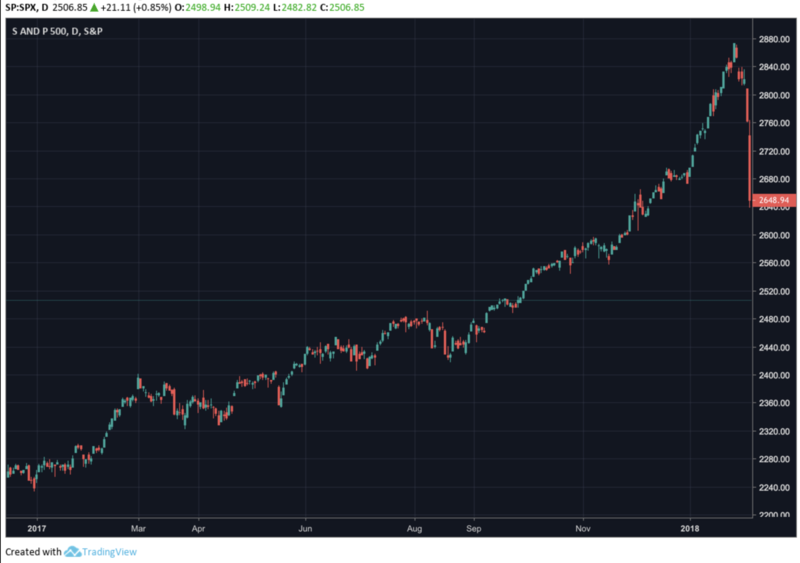 Similarly, the NASDAQ composite fell 3.9% for 2018. The main catalyst for this drop is said to be the sell-off that began in October. There have been widespread concerns of an economic slowdown, along with fears that the Fed is making incorrect decisions with respect to monetary policy. The S&P 500 was on a great run throughout 2017, opening at around 2240 points and ending the year at 2674 points. However, 2018 brought with it a lot of volatility, sharp trend reversals along with increased political tensions. The trade war between US and China has resulted in fluctuating stock markets throughout 2018. However, recent developments indicate that the disputes might soon be resolved, as early as March 2019. This might be a good fundamental catalyst for markets worldwide. A trade agreement being chalked out might come into effect in March 2019. Markets in London experienced a similar downturn, with the FTSE 100 index posting a yearly drawdown of 12%. This contrast to the record high of 7859 points that the Index posted earlier this May. 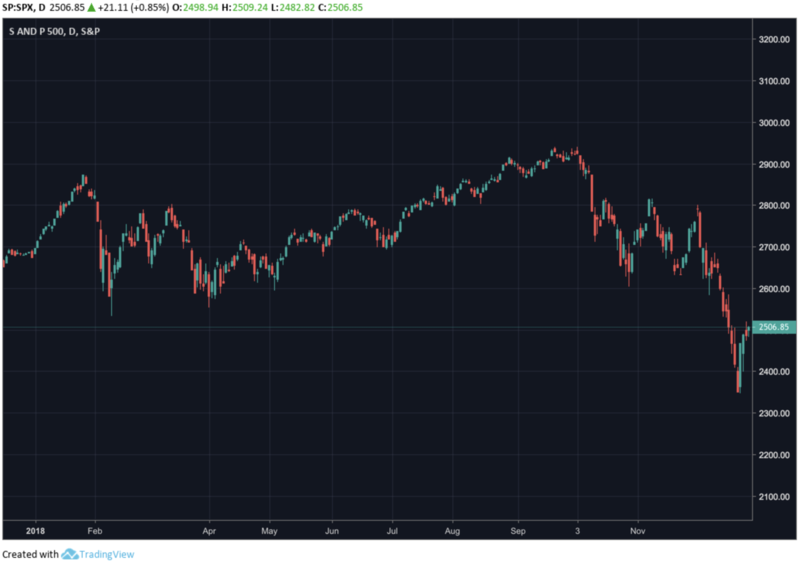 There are several reasons the FTSE dropped severely during 2019. To begin with, trade tensions between US and China have affected stock markets globally. Secondly, the uncertainty surrounding Brexit and concerns regarding US interest rates provoked a selloff within markets in UK. Chinese stock markets took the worst hit, with the CSI 300 benchmark dropping nearly 27% at market close on December 27th. The primary cause for this drop is said to be the ongoing trade dispute with the Unites States. Similarly, Japan’s Nikkei 225 Index lost 12.1% during 2018, its worst since the financial crisis.